A Pakistani man was sentenced to 40 years in prison Tuesday for a failed al-Qaida bomb plot targeting the New York City subway system. A federal jury in Brooklyn convicted Abid Naseer in March following a trial that featured spies in disguise, evidence from the raid on Osama bin Laden's compound and the defendant's questioning of an admitted co-conspirator. 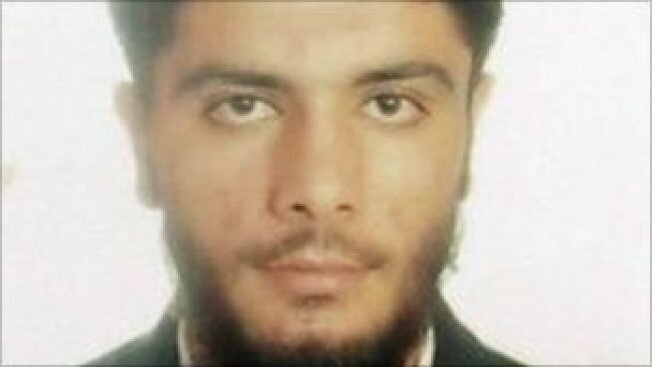 Naseer was first arrested in 2009 in Great Britain on charges he was part of a terror cell plotting to blow up a shopping mall in Manchester, England. The charges were dropped after a British court found there wasn't enough evidence, but U.S. prosecutors later named him in an indictment alleging a broader conspiracy that included the subway plot. He was rearrested and extradited to the United States in 2013 to face charges of conspiracy and providing support to al-Qaida. The government alleged Naseer had received bomb-making instructions in Pakistan in 2008, and Assistant U.S. Attorney Zainab Ahmed told jurors the arrest of Naseer and other members of his cell averted mass murder. Naseer acted as his own lawyer as he set about portraying himself as a moderate Muslim who was falsely accused. He was assisted by defense attorney James Neuman but largely spoke for himself — often in the third person. "Abid is innocent," Naseer said in closing arguments. "He is not a terrorist. He is not an al-Qaida operative." Naseer's self-representation created the spectacle of the defendant cross-examining an admitted terrorist. Five British secret agents also testified wearing disguises — one wore a fake beard and thick black glasses — and the case marked the first time documents recovered in the 2009 Navy SEAL raid against Osama bin Laden's compound were used as trial evidence. But most of the case hinged on email exchanges in 2009 between Naseer and a person described by prosecutors as an al-Qaida handler who was directing plots to attack civilians in Manchester, New York City and Copenhagen. Naseer insisted the emails consisted only of harmless banter about looking for a potential bride after going to England to take computer science classes. But the prosecutor accused Naseer of lying on the witness stand by claiming the women he wrote about were real. Ahmed said the women's names actually were code for homemade bomb ingredients: Nadia stood for ammonium nitrate and Huma for hydrogen peroxide. She dismissed Naseer's explanations as "blather" and said, "This man wanted to drive a car bomb into a crowded shopping center and watch people die." One prosecution witness, Najibullah Zazi, pleaded guilty in the subway plot as part of a cooperation agreement. Zazi testified that after receiving explosives training in Pakistan, he received instructions from the same al-Qaida contact as Naseer and was told to use "marriage" and "wedding" as code for attacks. Another witness was an FBI legal attache who handled evidence found in the bin Laden raid, including letters written among top al-Qaida officials. One referred to sending "brothers" to New York and Britain and to arrests made there — a passage prosecutors suggested was a reference to Naseer.